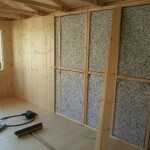 Depending on the type of building you have chosen, you might want to consider installing insulation and or lining. 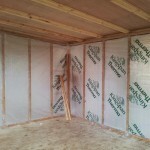 Insulation will help to keep your building cool in the summer and warm in the winter. 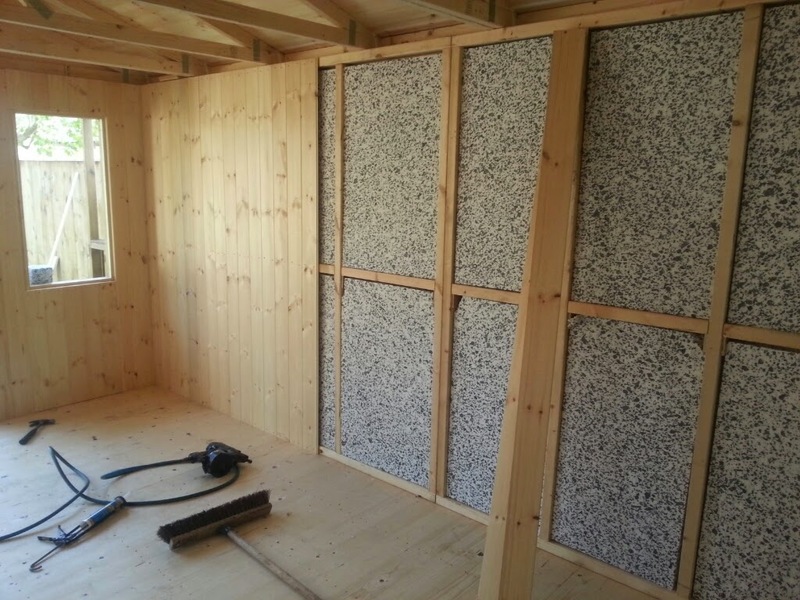 We use self extinguishing polystyrene sheets are used to insulate your building in both 25 and 50mm thickness. 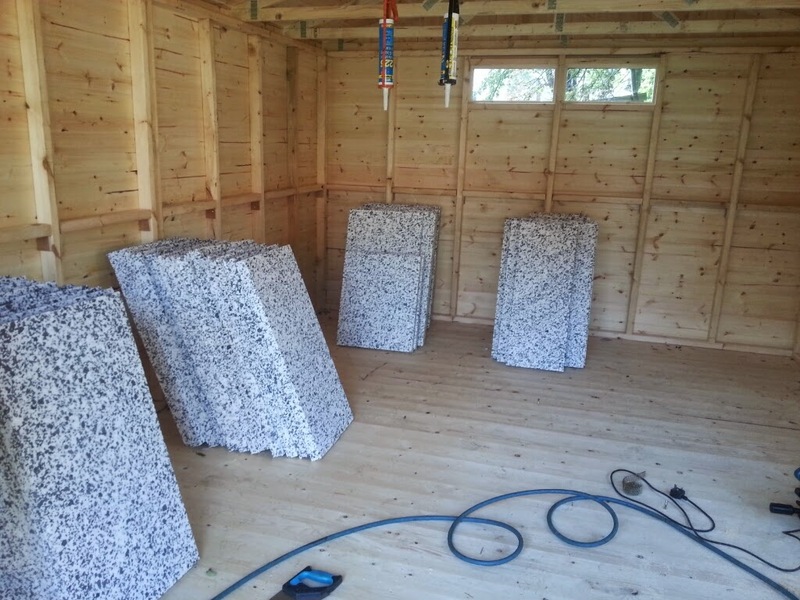 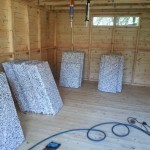 Note: If you choose to insulate your garden room with a metallic faced insulation then you may find your mobile telephone or wireless internet signal might be weakened. 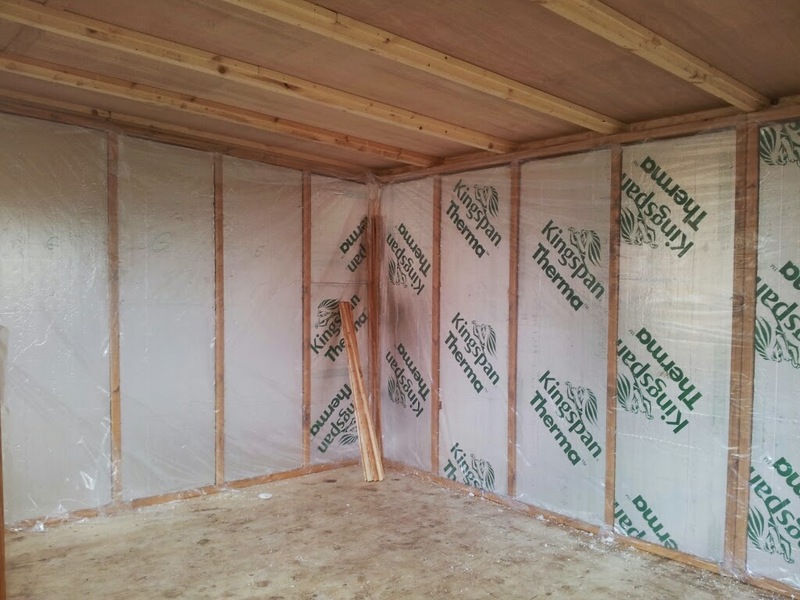 Lining your building gives your building a more finished appearance as well as hiding any insulation or wiring you may have chosen to install. 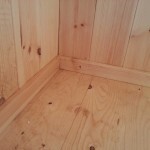 The type of lining you choose depends on it's use or how you want it to appear. 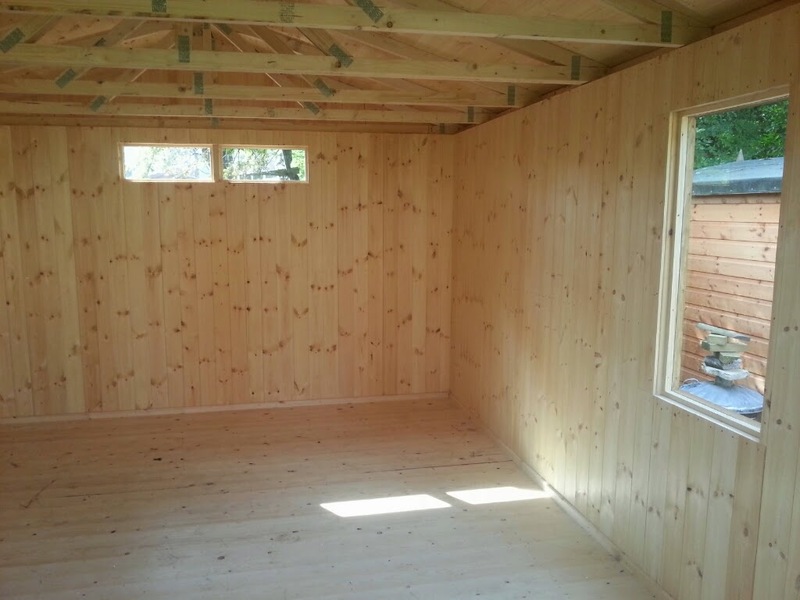 WBP (water & boil proof) ply board is a very robust material ideal for lining sheds, workshops, play houses and animal shelters. 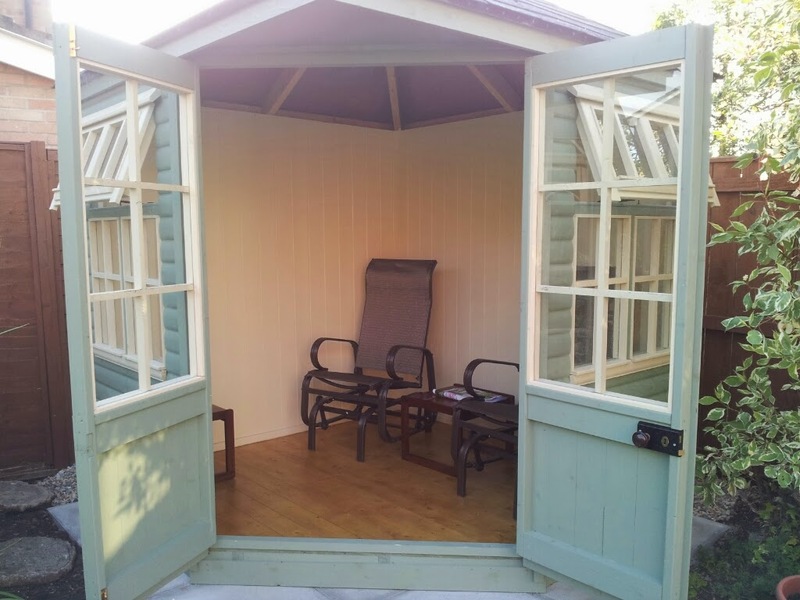 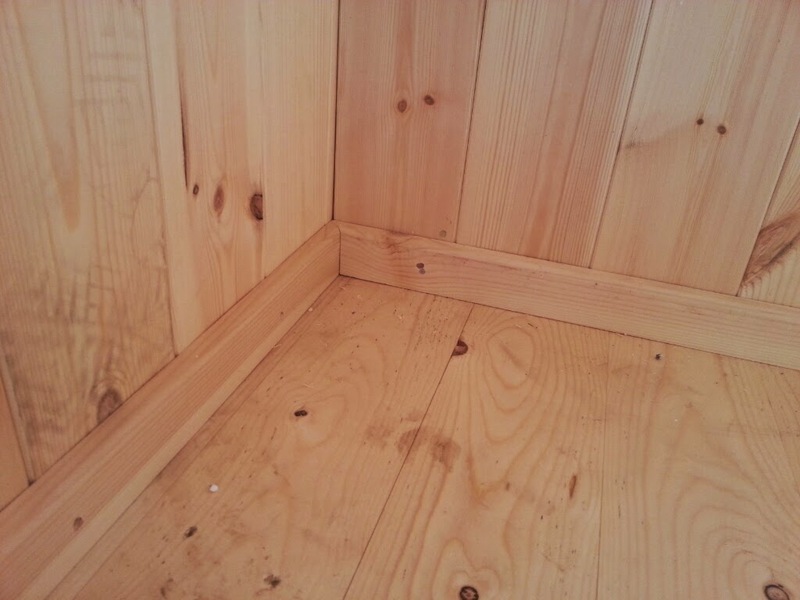 Kiln dried tongue and groove boarding provides a highly attractive finish for the inside of a summerhouse, garden room or home office. 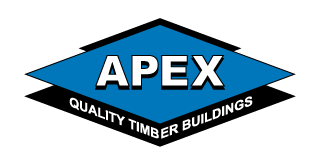 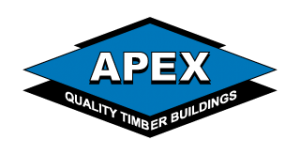 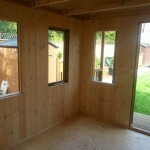 extending the beauty of your timber building to the inside. 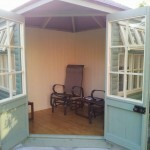 t&g boards can be left natural, stained or painted to suit your individual taste. 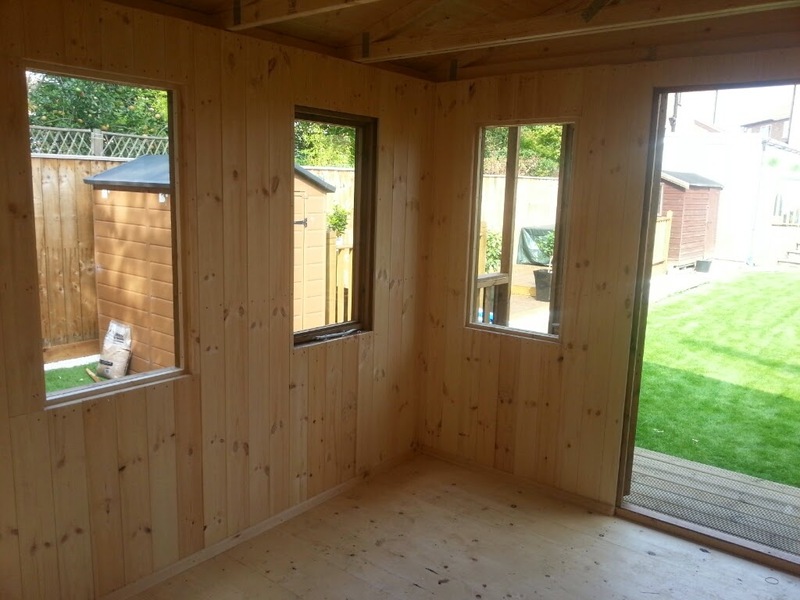 If you want your garden room to have a more homely appearance you may want to consider installing plasterboard with a skimmed finish, which can then be painted or decorated. 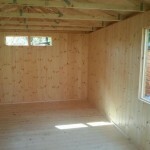 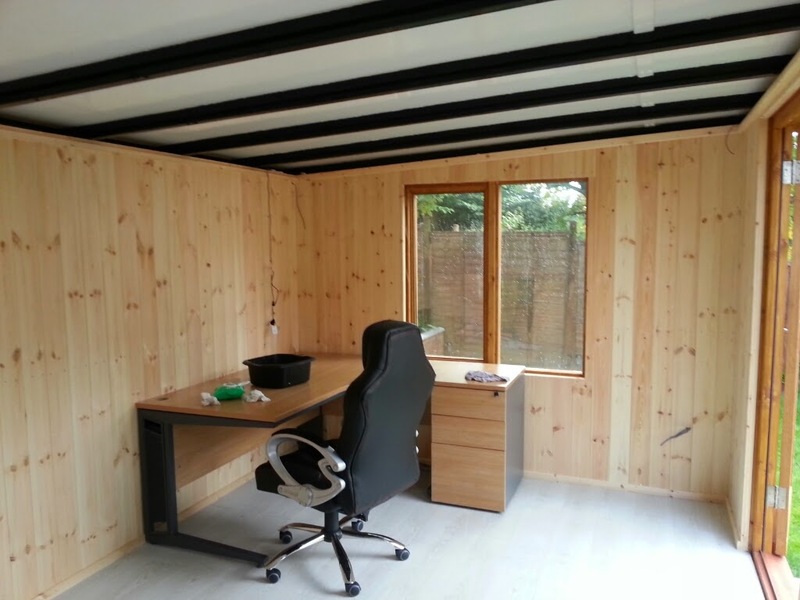 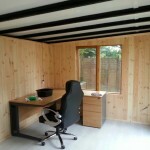 Below is a gallery of our timber buildings with a selection of interiors.